Now a month after a local mother of two was killed by a suspected drunken driver while she was walking along Morrisonville Road, her neighbors are coming together to find ways to improve road safety and their sense of community. About 50 residents living in and around the village of Morrisonville packed into a neighborhood home last month to plan their response to the death of their friend, Lauren McDarby. 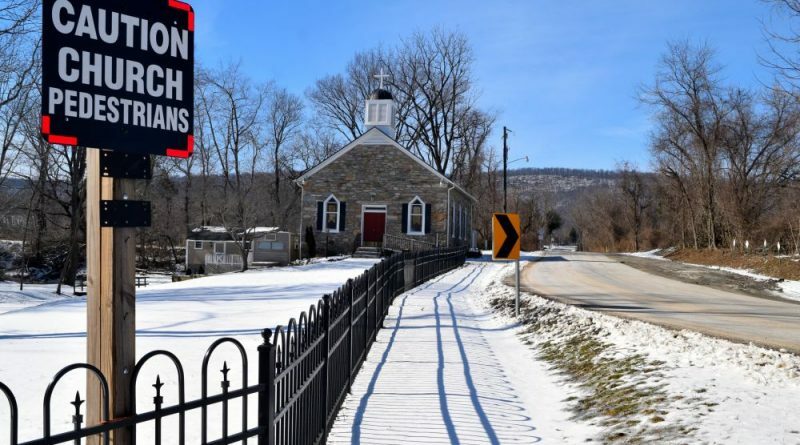 The residents moved to form the Morrisonville Community Alliance to address concerns of traffic and pedestrian safety, create a unified voice when communicating with local government leaders, and to help them better connect with each other. In the days following McDarby’s death, residents began talking about the danger of Morrisonville Road, which has six blind curves and weathered pavement that in some spots is less than 18 feet wide—VDOT’s minimum width standard for rural roads built in modern times. Within a couple weeks of McDarby’s death, residents Janet Belvin and Lizzy Beer distributed 90 flyers advertising the Jan. 23 community meeting. “We didn’t know what to expect,” Belvin said. Once the dozens of residents crowded into their friend’s living room and hallway, their first order of business was to discuss safety on Morrisonville Road and the possibility of asking VDOT to decrease the speed limit from 35 mph and 25 mph to 15 mph in certain areas and to convert the Morrisonville/Purcellville Road intersection from a one-way stop to a three-way stop. They also suggested asking VDOT to, at least once a year, trim the roadside brush that blocks drivers’ line-of-sight heading into the corners—something VDOT did last year. Jim Betz, VDOT’s assistant district administrator for maintenance in Loudoun, said that trimming roadside greenery to improve safety on Loudoun roads is something that VDOT does regularly and that he would take a look at Morrisonville Road. “We try to go around to trim as much as we can,” he said. Sunil Taori, VDOT Loudoun’s assistant transportation and land use director, said that if the residents want to request VDOT to change traffic patterns on Morrisonville Road, they should use the online “Report a Road Problem” form on virginiadot.org. VDOT will review their requests and determine what kind of solution is warranted. Taori said that when people are killed on the roads, the engineering department typically heads out to physically review road conditions. Belvin said the community is in a bit of a predicament because while the residents do want to see improvements to the road, they also want to keep the village rural and don’t want to see major VDOT projects that could widen the roads and invite more commuter traffic—something that’s happened in Waterford in recent years. Aside from residents wanting to improve the safety of Morrisonville Road, they’d really like to get walkers, joggers and cyclists off the road altogether. Belvin said the Morrisonville area lacks any trails or sidewalks for dog walkers, horseback riders and neighborhood children. “If you’re a walker [or] a runner, you’re doing it on Morrisonville Road,” she said. To give pedestrians better options, some residents want to ask the county government to keep Morrisonville in mind when it moves forward with its Emerald Ribbons initiative—a proposed countywide system of interconnected parks and unpaved trails located on land donated by private landowners. 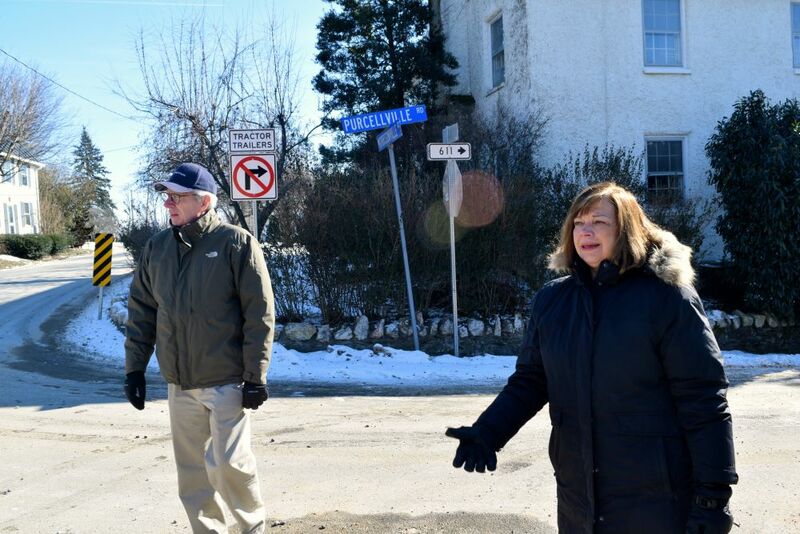 With Morrisonville Road acting as a border between the county’s Blue Ridge and Catoctin districts, Supervisor Tony Buffington (R-Blue Ridge) said that he is willing to work alongside Supervisor Geary Higgins (R-Catoctin) and the residents to find solutions. “Should the residents of Morrisonville wish, I’m happy to work with them and Geary to see what can be done to improve road safety and include them in the Emerald Ribbon planning process,” Buffington said. To help build community involvement generally, residents also discussed plans to install a “Village of Morrisonville” sign and to create a community map, Facebook page, newsletter and directory with a section aimed to help residents find local services, like babysitters. They’re also looking to organize annual picnics, home tours and other events to get closer with their neighbors. “There was very much a sense of wanting to get to know our neighbors,” Belvin said of the meeting. Belvin said that residents would reach out to the Board of Supervisors to discuss their concerns soon. It’s great that community is coming together, but the issue is still the drivers, not the roads!